Chris and Janine married on Friday at The Church of The Sacred heart in Hemsworth before celebrating at Wentbridge House near Pontefract. 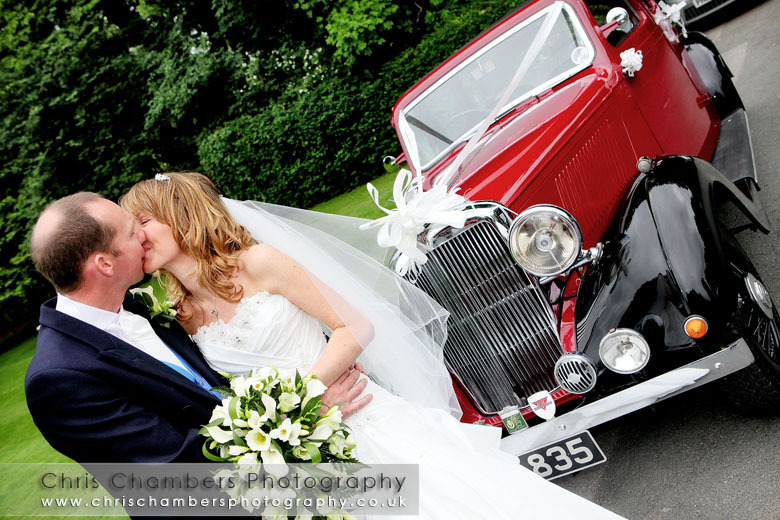 Friends had very kindly provided Chris and Janine with their wedding car, a red 1930's Alvis lovingly restored just in time for their big day. With the car there for the day we were able to position it where required and ensured both Chris & Janine and the driver went away with photos of the car. 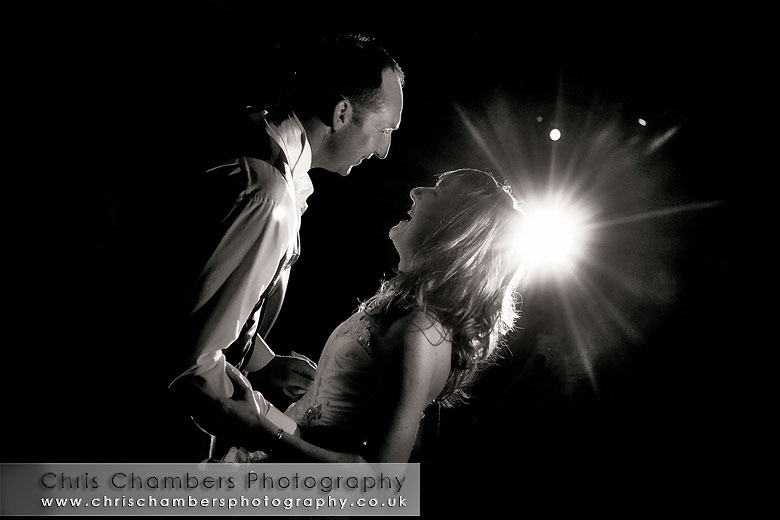 Two years ago I photographed Chris' Brother's wedding at Waterton Park so on Friday there were plenty of familiar faces around and of course it was great to see Richard and Janet again. With the weather being very kind to us, guests enjoyed a drinks reception and canapés on the lawn whilst we were busy shooting informal images before the small number of formals were quickly taken care of. The evening reception featured the large screen display of images, (Some of which appear in the movie clip below), during the evening we also gathered all the guests together on the lawn as Chris and Janine had asked for a shot with all the extra gusts as well. The light summer evening allowing us to shoot this after 9PM.